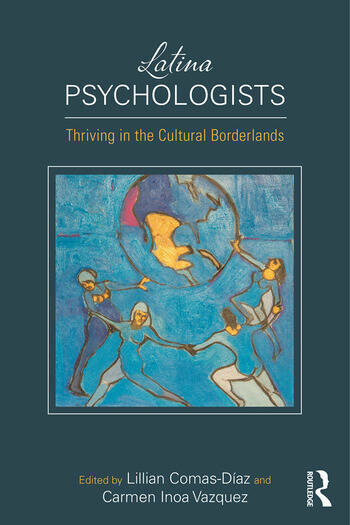 In this book, twelve eminent Latina Psychologists illustrate how they practice gender- and culture-sensitive psychotherapy, counseling, research, pedagogy, social justice, and mentoring. They share how they create their own path in the midst of oppression – by becoming aware of the connection between their lives and their gendered, cultural, social, and political circumstances – and how they liberate themselves and those who seek their psychological services. Based on lived experiences, they reveal how they integrate a borderlands theory, a testimonio method, and an embodiment analysis into a Latina Feminist Psychology. More importantly, these Latina Psychologists offer easy-to-follow advice to help readers thrive while living in the cultural borderlands. Lillian Comas-Díaz, PhD, is a clinical psychologist in private practice in Washington, DC, and a clinical professor at the George Washington University Department of Psychiatry and Behavioral Sciences. The author of over 150 publications, her scholarly work focuses on multiculturalism, women of color, ethnic minority mental health, psychotherapy process, social justice, and psychospirituality. Carmen Inoa Vazquez, PhD, ABPP, is a practicing clinical psychologist in private practice in New York City and a visiting scholar/clinical psychology supervisor at Columbia University Teachers College. She has published several books, book chapters, and articles, and has made numerous presentations in the areas of gender, cross-cultural mental health, and training. She is a noted authority on Latin American mental health, particularly focusing on women and bicultural life styles.